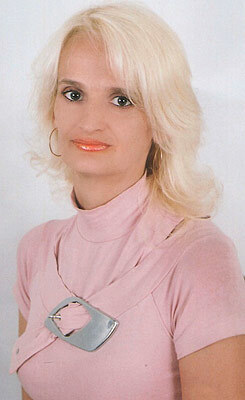 Penza City Meeting - 16883 Irina Vinnitsa (Ukraine) 52 y.o. I have lots of hobbies. Going to museums, theaters, cinemas, different exhibitions, concerts and parks are among them. I like dancing and travels very much. I am also very communicative person and that's why I have lots of friends and I like my free time with them out of the city somewhere near a lake or river far from noisy and busy city. I also like cooking some delicious meal. I am serious, goal-oriented, attentive, responsible, romantic, sensitive, optimistic, kind and clever woman. I like reading thrillers, novels, detective stories and classical literature. I am fond of listening to disco music and opera. I prefer Russian, Ukrainian and Italian cuisine. I would like him to be kind, life loving, reliable and generous. I want to share my sorrows and joys with me. He must be ready to create a strong and friendly family. If you are as romantic as I am then you are welcome.